Arrowheads Cord Wrap Pendant, as the name suggests, has a black cord wrapped around it. This flint piece of Arrowhead is surely a great possession. 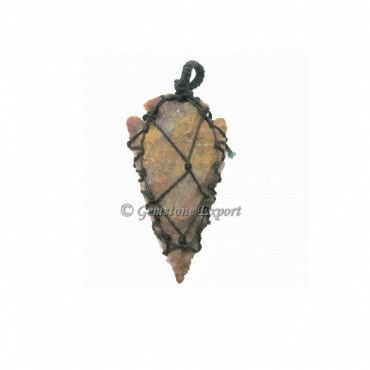 This arrow shaped 1.50 inch to 2 inch pendant is made up of the agate stone (known for peace) and is available online at a generous price.